Is A Web Design Degree Worth It? A web design degree is a study program that leads to a professional academic accreditation. It is a necessary degree for showing proficiency in the creation of computer graphics, content and sometimes animation, that is meant to entertain, inform, enlighten or sell a product or service. Web design is a marriage between artistic ability, creative thinking and computer science. Those interested in a web design degree must master code programs to properly format and add content pages for websites, which is the main resource for internet marketing. Typical courses for web design include web development, HTML application, graphic design, writing internet text and having a thorough knowledge of computer networks and systems. Web design requires the ability to interpret ideas and concepts then apply them, using basic knowledge mixed with an independently creative mindset. Several degree programs are available, starting with a certificate program, then graduating to more intense study with associate and bachelor programs. Graduates of such programs can advance their training and skills by entering and completing a master’s degree. Any program completion offers corresponding career paths. A web design degree attracts people with artistically creative personalities who can manage their own hours, meet deadlines and serve as their own production manager. The pros of pursuing web design are many. Because of the nature of the job, many choose to go into this field so they can work independently and freelancing is one of the the most popular reasons for pursuing the vocation. It allows the designer to work when they want to and take on projects that reside within their skill sets. The hours are flexible and up to the designer, with headquarters typically in a small private office or in the home setting. Working from home allows production schedules that can start right away, with no transportation needed to an outside job site. A computer and Internet capability is all that is needed to start the business. Clients can originate from different time zones all over the world, extending the business reach and maximizing opportunities for employment. Time clocks, strict managers and dress codes are nearly non-existent, unless employment is with a corporate firm or business. Any expenses related to the job, such as stationery, computer software and hardware, office supplies and furniture, training fees or instructional material can be written off as expenses. The variety and amount of projects is entirely up to the freelance web designer. They need not be bored or stuck on one project when they have several to choose from or trade off to. However, someone considering a freelance web design career must consider the potential pitfalls as well. A freelancer in web design must garner their own work and meet normal household expenses if they are the sole provider. This requires active job hunting on the internet, quality networking or through advertising media. It is possible that very little work will exist during some times of the year or even seasonally. A freelancer will need a sound disciplinary foundation and a willingness to put forth the effort to stay busy at the present and have the foresight to plan for the future. They will need to meet deadlines and abide by the client’s instruction without forcing their own preferences into the production. A growing client list is essential to keep the workload coming in for a steady paycheck. Working at home or a small office as a self-employed freelancer usually means no insurance or that outside insurance coverage will have to be purchased. Likewise, software and hardware purchases are borne by the freelancer and this includes breakdowns or system failures. Freelancers might face constant interruptions from friends or family members, disrupting the work schedule. Courses for web design degrees are available from colleges or online training schools. Baker College, an online school, awards an Associate of Applied Science degree and actively finds employment for its graduates, who can be placed as web managers, web designers or web developers. Baker also has contacts in the public sectors or government departments. The American InterContinental University is another online program that offers a Bachelor of Fine Arts degree. They offer courses in digital graphics, web design, animation, Java script, computer science and programming languages. So: Is a Web Design Degree Worth It? 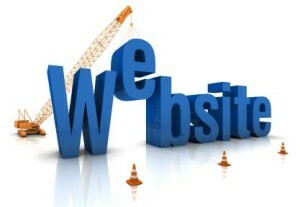 Internet web design is a fascinating, ever-growing and changing industry. Today with the proliferation of Internet-based products and services offered by corporations and businesses, the chances of success are outstanding. New innovations in computer technology mean that computer graphics and design will forge ahead and create new specialized areas. Considering that the median salary for a senior web designer with a bachelor’s degree in web design is $80,176, it’s easy to see that a web design degree is worth it. Related article: Is a Computer Science Degree Worth it?